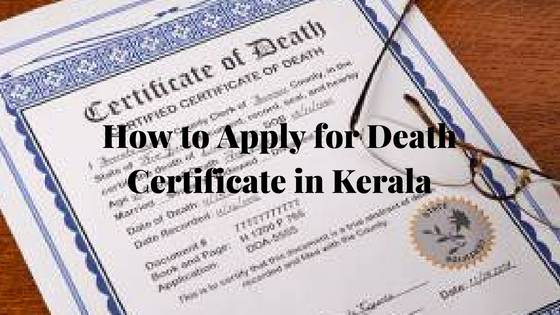 Death Certificate Online in Kerala: Death certificate is for confirmation that person is no more. As per the Registration of Birth & Deaths Act, 1969 every death has to be registered with the concerned State Government of India. This certificate can use for the property inheritance the deceased and also this certificate will show the complete information birth date, Date of death, Cause of death of deceased. Death Certificate we can use further process also. In Kerala state, the civil department will provide the deceased certificate to their nearest relatives. For this, you should have some documents of a deceased like Proof of birth of the deceased, An affidavit specifying the date and time of death, The required fee in the form of court fee stamps, A copy of the ration card. Those who are not applied recent death of your family members, now you can apply easily through the online and offline process. The Kerala government has upgraded their services online. These steps will be applicable only for following districts of Kerala state: Thiruvananthapuram, Kollam, Pathanamthitta, Alappuzha, Kottayam, Idukki, Ernakulam, Thrissur, Palakkad, Malappuram, Kozhikode, Wayanad, Kannur, Kasaragod. Here we will reveal the steps to apply for the death certificate in online and offline. For Kerala state, the government has kept the separate website for the application of death certificate in online. Proof of birth of the died person – Birth certificate/SSLC certificate. An affidavit specifying the date and time of death. Medical Certification of causes of Death, if it required. Below the table, we have listed the Fee for Death Certificate. Who can register a Death Certificate? The person died in Kerala can be registered with concern registered office in order to get the death certificate. 1)Death occurs in the house, the head of the family members can register. 2)In case of death occurs in the Hospital, medical in charge can register. 3)The jailer in-charger can register if death occurs in the jail. 4)In respect of births and deaths in a dharmasala, boarding-house, lodging house, choultry, chattram, hostel, tavern, barrack, toddy shop or place of public resort, the in charge person of that place has to register. Those who are resident of Kerala state they are the eligible of the death certificate. Here are the steps for the online process. 2)An applicant can download the death application form at this portal. 3)The applicant can fill out the required details and submit to the register office. 4)It is mandatory to attach the required documents along with this application form. 5)There will be a verification process for the death certificate of the applicant.